1. Preheat oven to 400 F and line a muffin tin with muffin cups. 3. 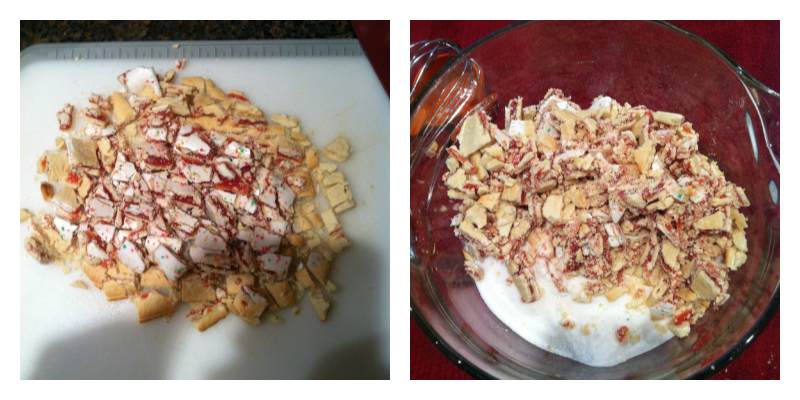 Combine the wet ingredients in a small bowl. 4. 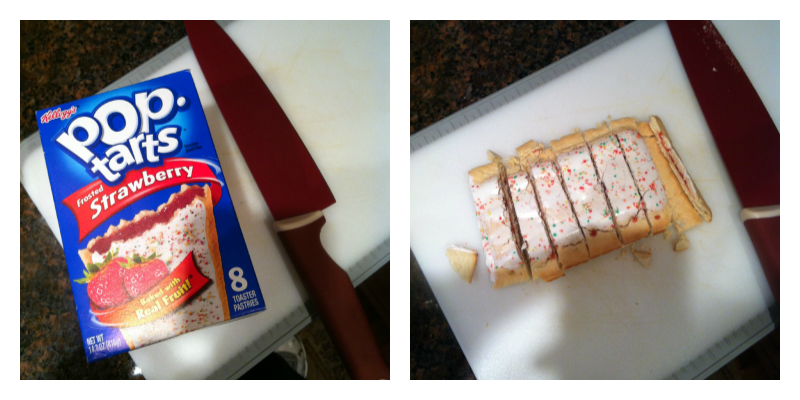 Add the wet ingredients to the dry and gently stir in the Pop-Tarts until just combined. 5. Fill the muffin cups and sprinkle about 1 tablespoon streusel topping per muffin. 6. Bake for 15-20 minutes and allow the muffins to cool for five minutes before removing from the tin. 1. Cut margarine into flour, brown sugar and cinnamon in medium bowl, using pastry blender, until crumbly.